Yo salí cuando Elena llegó. I left when Elena arrived. Ana se resbaló cuando Pedro llamó. Ana slipped when Pedro called. Yo buceaba mientras tomabas el sol. I was scubadiving while you were sunbathing. Mi hermano caminaba por el bosque mientras yo hacía una barbacoa. My brother was walking through the forest while I was having a BBQ. 7 Práctica 1. I was fishing when my friend fell overboard. 2. We were walking through the meadow while my parents were having a picnic. 3. I dove into the water and I drowned. 8 Respuestas 1. Pescaba cuando mi amigo se cayó al mar. 2. Caminábamos por el prado mientras mis padres merendaban en el campo. 3. Me tiré al agua y me ahogué. 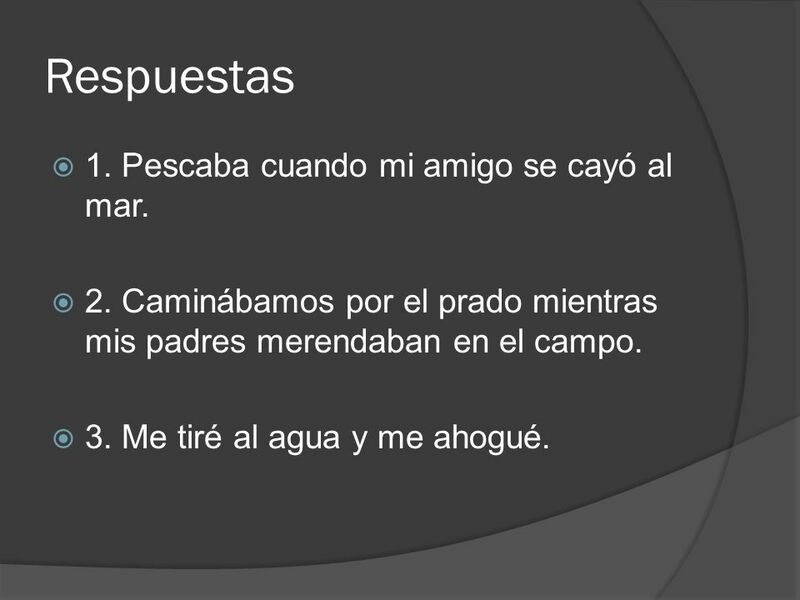 Descargar ppt "El uso del pretérito y el imperfecto en la misma oración"
El Pretérito y El Imperfecto. 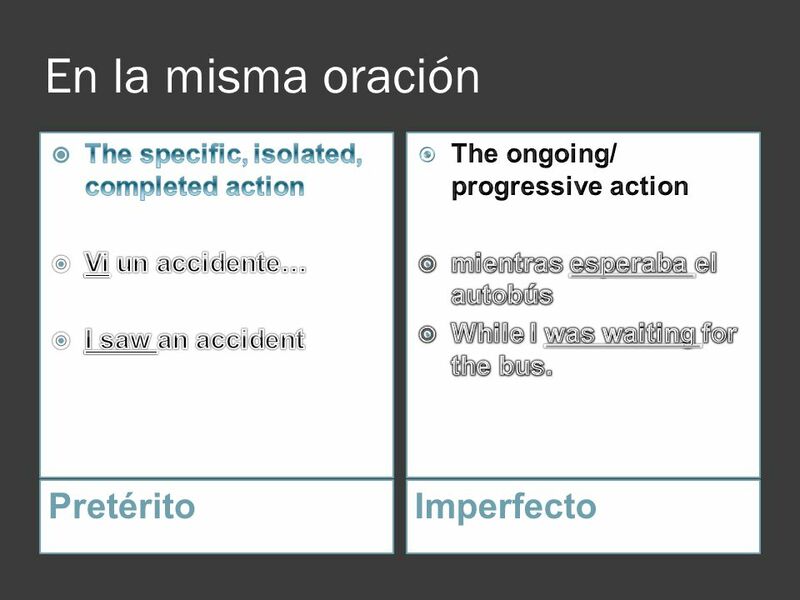 Here are the reasons to use the imperfect tense: On going action (something that was happening) Yo estudiaba cuando mi hermano. El pretérito y el imperfecto Una presentación creada por Lisa Taylor Alpharetta High School Updated 1/26/2010. Jeopardy $100 VocabularioGramática Diálogo Más gram Más gram 2 $200 $300 $400 $500 $400 $300 $200 $100 $500 $400 $300 $200 $100 $500 $400 $300 $200 $100. 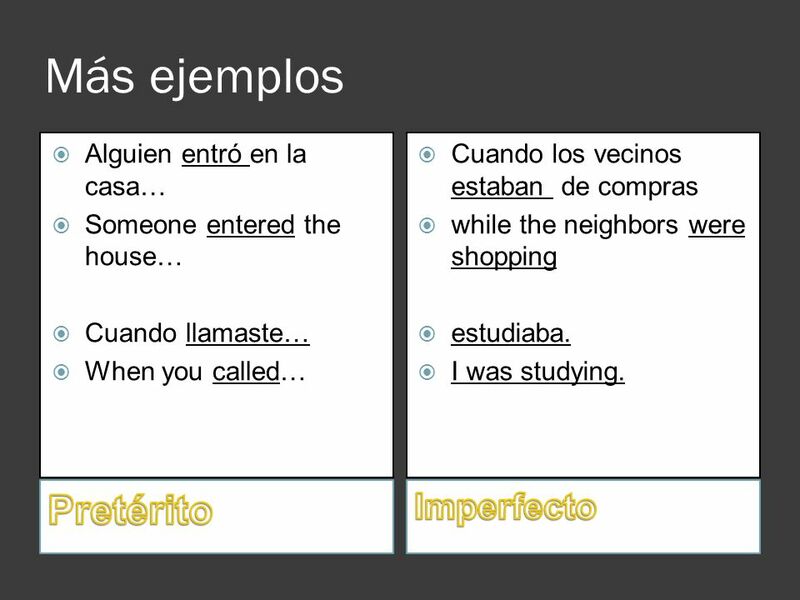 El Imperfecto When referring to the past, there are two verb tenses in Spanish. They are used depending on the type of events and actions being described. El Pretérito o El Imperfecto. Las Diferencias Both the preterit and the imperfect are used to talk about the past How do we know which one to use? These. 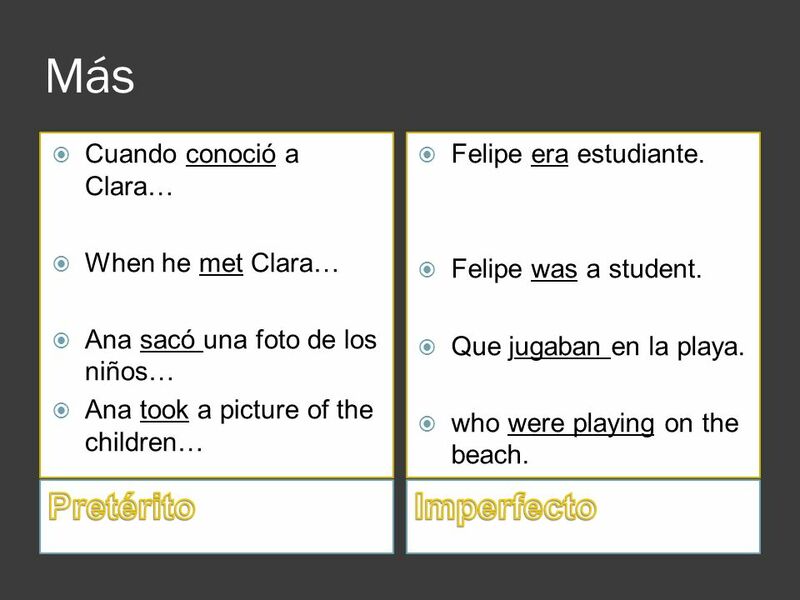 Preterit VS Imperfect Spanish 3. El Pretérito If the action started and ended at a definite time. Yo vi una película anoche. Ella fue a Puerto Rico el. PRETERITO O IMPERFECT REPASO Preterit vs. imperfect. Copyright © 2007 Spanish Jeopardy Preterite vs. Imperfect. Ven conmigo 2 Capítulo 7 El imperfecto. 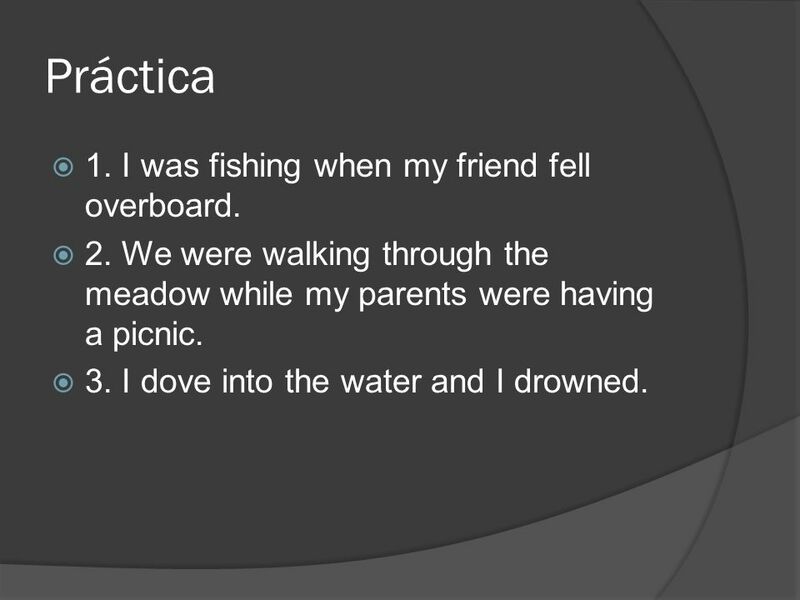  You have already learned the preterite tense, which is used to describe events that started and finished in. Pagína 205.  If you want to say that someone “just did something” use the formula: ACABAR + DE + INFINITIVE  ACABAR is conjugated just like any regular.